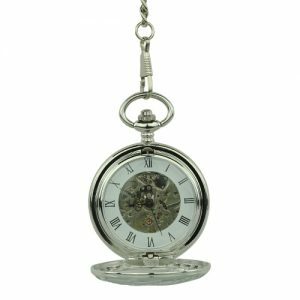 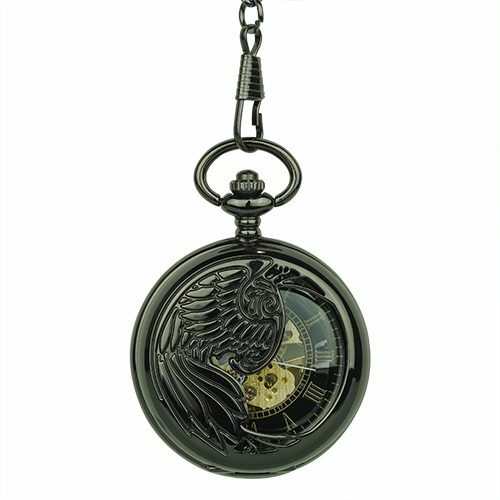 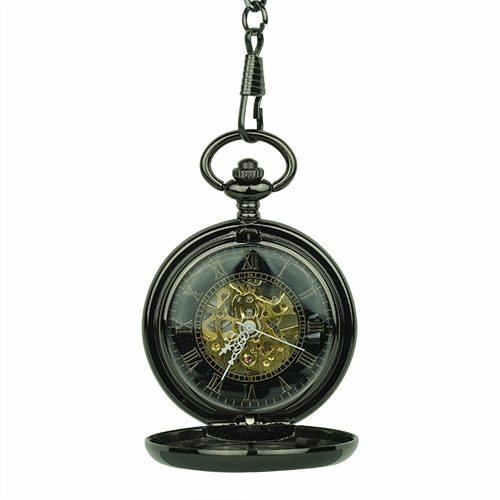 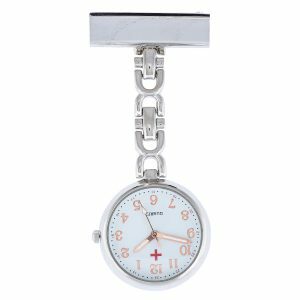 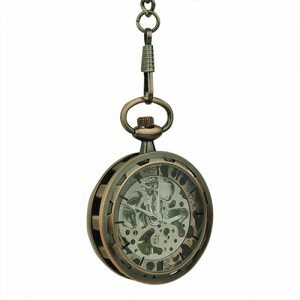 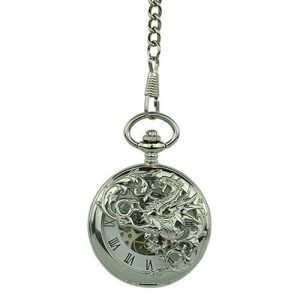 This mythical beast themed pocket watch features an intricately engraved Phoenix covering half of the black finished front frame. 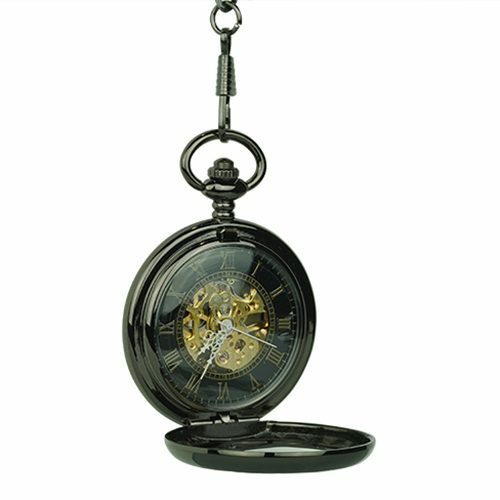 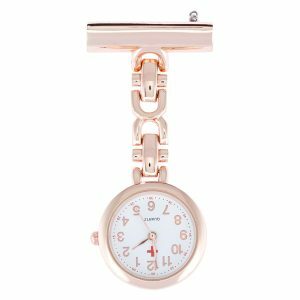 The inside reveals gold roman numerals sitting on a black background while a golden skeleton boasts its finely detailed innerworks. 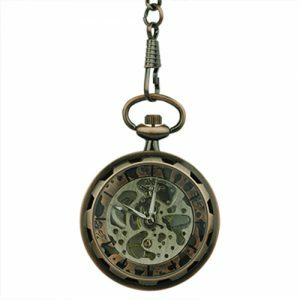 The back frame is filled with flowery patterns and a little window that offers more view of the moving gears.